Hope you all are good and ready for the summer weekend ahead! And, yes I know it’s only Wednesday but by midweek during the dog days of summer I am already planning what to pack for Friday’s escape! But before jetting off to the beach, there is one product combination your weekend bag should not be without. 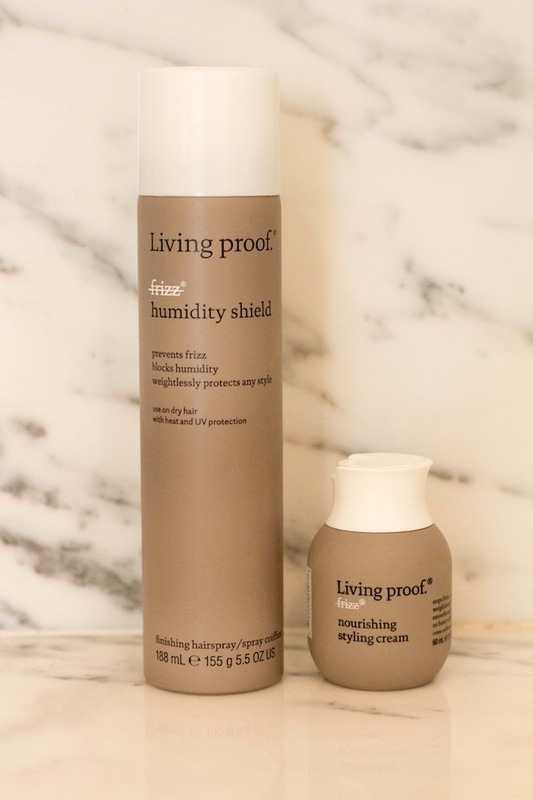 It’s Living Proof’s fab frizz humidity shield and nourishing styling cream! This duo is just amazing: I have been using it all June and July to protect my long blonde locks from sun damage, dryness from styling, and to keep my hair from frizzing out of control in the summer humidity and heat. 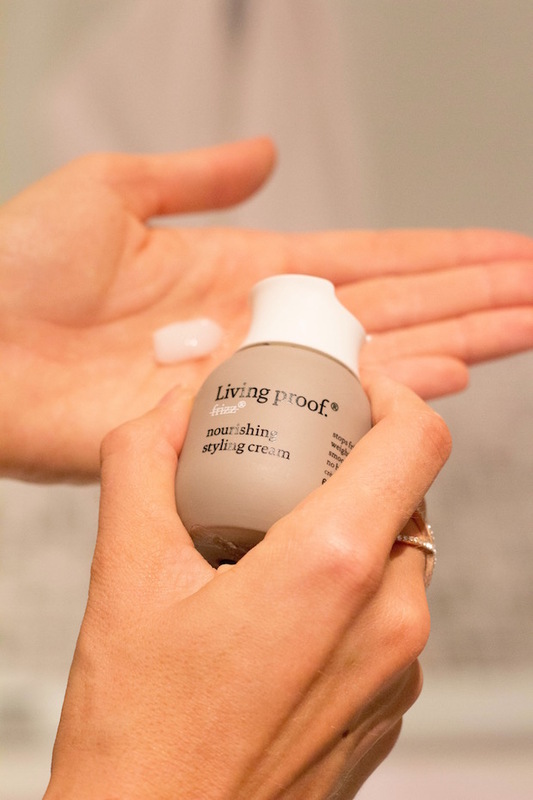 I use a nickel size amount of Living Proof’s styling cream on wet hair to protect my hair from the blow dryer heat and help keep those baby hairs around my face from taking flight… Once dry and styled I use the Living Proof humidity shield as a finishing spray. It has a wonderful light styling hold as well as a UV protectant which helps increase the life and vibrancy of my highlights and lowlights. This product is especially good for blondes who want to ward against the total platinum fade we are so prone to every time we hit the water or step into the strong summer sun. I would also recommend it for those of you who balayage as it will protect that great dimension you worked so hard to achieve. I keep the Humidity Sheild in my purse at all times during the dog days of summer in case my hair needs a little refresher or extra protection. Check out Living Proof’s full frizz line bellow and a few of my other can’t-live-without Living Proof hair essentials.